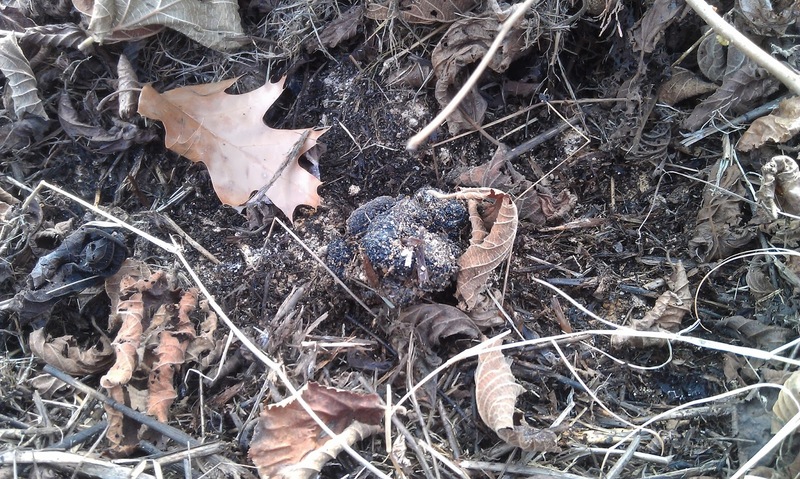 Truffles NC Black Truffle Products and Information: Dazy Finds the First Truffle of the Season!! Dazy Finds the First Truffle of the Season!! Dazy was one excited little dog when she found the first truffle of the season last Monday! Her mama was pretty excited, too. We were out there doing a training exercise and it was pretty warm. I really thought it was too early to find anything but Dazy was all for it and she was very focused. The truffle she found was not edible (unfortunately) because it had frozen at an immature state but we will keep it for reinnoculation at some point in the spring. The exciting thing about it is that it is the first truffle ever harvested anywhere in the world with exactly its beginnings. You see, it's a "Friday" truffle. When we harvested truffles in the original orchard way back when...................., we gave Franklin Garland a truffle and he used it to innoculate 20+ trees for us. This truffle came from one of those trees!!! That really makes it special to me. The tree where Dazy made her find is 6 years old. Let's just hope there are LOTS more where that came from. Keeping my fingers crossed!! Friday was very disappointed that he wasn't the one to find it but I'll give him a chance to find one like it when the weather cooperates more next week. 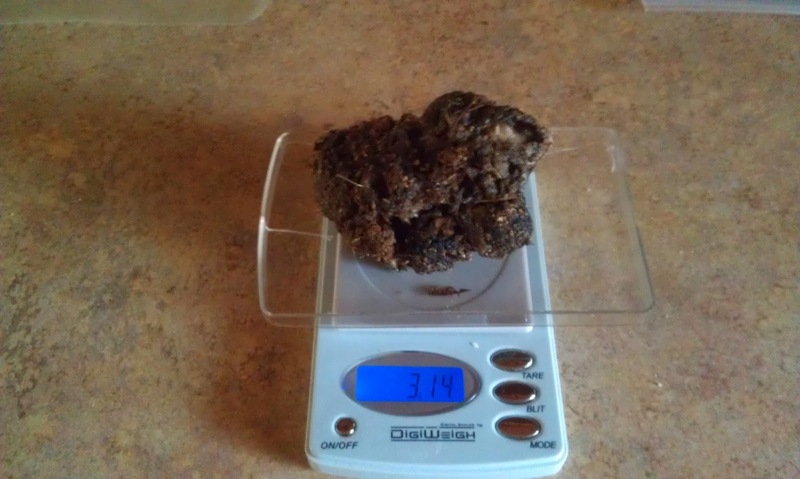 Truffle on the Scale - 3.14 oz. I really have no idea (as usual) what this truffle season will bring or when it will start in earnest so I have ordered truffles for sale until something really begins to happen here. I want to have truffles to enjoy while we wait. The season has begun in France and our connections there are already shipping. http://www.truffesgaillard.fr/ Even though it is a little early, I have been very pleased with what I've seen so far. The big truffle mystery gets a little old sometimes but this is always a very exciting time for me. It actually rivals Christmas!! In January, I'll be travelling to France myself to visit a truffle festival, hunt for truffles, eat truffles every meal and learn from a French chef how they honor the delicacy in France! I hope to come back with lots of recipes to share! 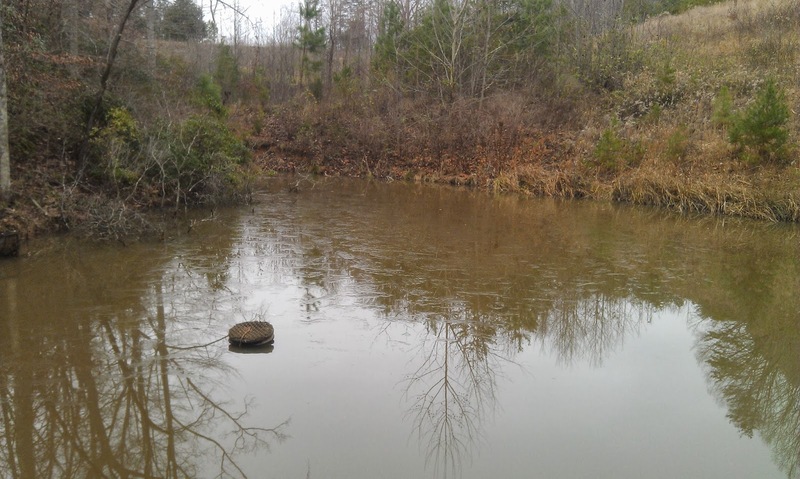 Well, that's all the news from Keep Your Fork Farm for now! Have a wonderful, safe holiday season and, For Goodness' Sake -- put some truffles in it!! Good story - Have a great week & good luck searching for more truffles Dazy. Thanks, Teddy. I'll pass on your encouragement to Dazy, too! Wow, this is fascinating! How will you use the truffle to reinoculate? Will you let it decompose in that spot, or use it to inoculate a new sapling?